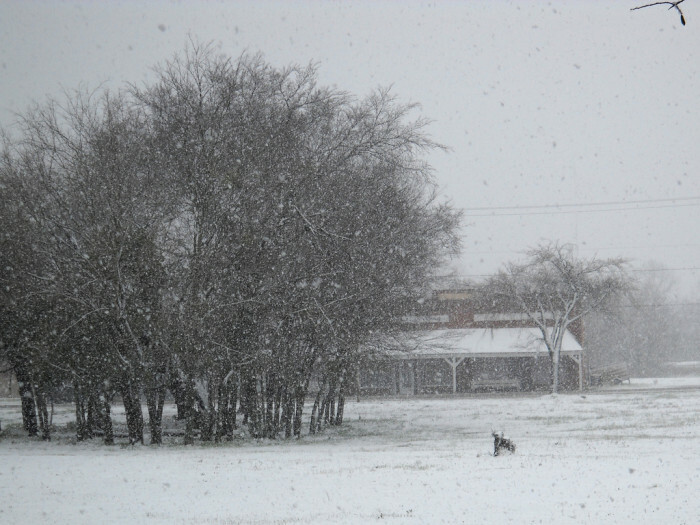 Those are words you don’t hear very often, maybe once a decade if you’re lucky: It’s snowing in Texas. The snow’s beauty is magnified here in Texas as most of it falls on trees, blanketing them in soft crystals. In Oklahoma, for instance, it’s mostly roofs of small businesses that are covered. Truly Christmas is on the way! For those of you who have the luxury of writing, take the time to snuggle up with a warm cup of whatever-it-is-you-like and take advantage of the beautiful, cold scenery to spice up your imagery and senses in your story. I know I plan too! Whether it’s taking note on what it’s really like for your characters in a cold setting, from the shivering to the cold puffs of air, to the numb fingers, or just practicing your skills in scene/setting writing, don’t miss out on this awesome opportunity!